Chal Taraazoo Torr Ke Banda Tol Zara Saa! There will be paradise, There will be paradise! The Dervaish laughs at the World, it’s children’s playground. Punjabi poetry has profound influence by Sufism that even after hundreds of years of Bulleh Shah, we see lyrics and poems by new generation that clearly resident represent Sufi way of thinking. Above lyrics from Sajjad Ali song Tamasha, featuring Punjabi rapper Bohemia, show the thought of Sufi dervish about the ephemeral and temporary world. Mohsin Abbas Haider hails from Faisalabad, Pakistan’s 3rd largest city, which produced notable musicians such as Ustad Nusrat Fateh Ali Khan. 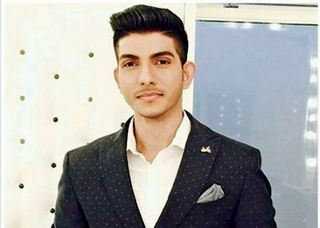 Mohsin Abbas Haider started from Pakistani dramas but with his soulful voice, he quickly was grabbed by famous show Mazaaqraat for live performances. Tamasha, unlike the title suggests, is a sad song about temporary relationship, with world and its beings. It tells when hardships comes, one blood relatives also leave you. Mohsin Abbas Haider has performed it as good as the legend Sajjad Ali.